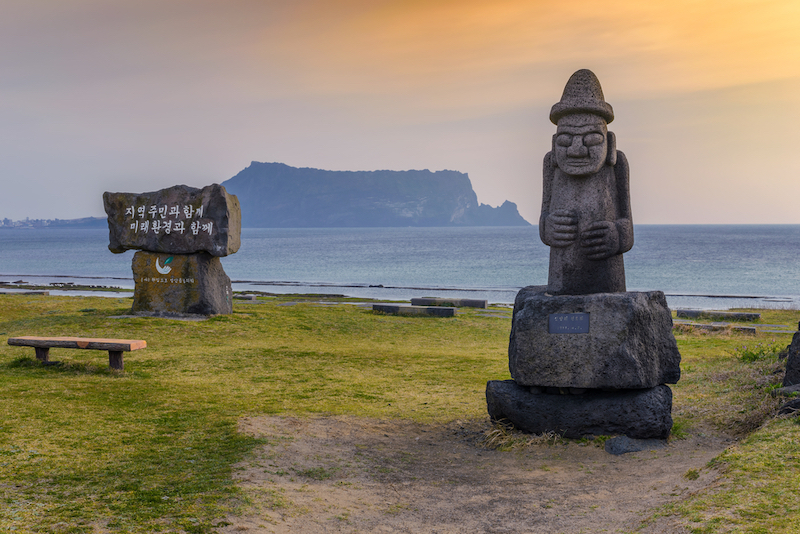 While most travellers enjoy exploring the South Korean capital of Seoul, the lesser-known Jeju Island is an equally interesting destination worth exploring. Mention South Korea and cities such as Seoul and Busan immediately pop into mind. And who can blame you? After all, Seoul is the capital city of the country, while Busan came to be on the tip of most tongues, thanks to the 2016 Korean blockbuster, Train to Busan. Without a doubt, South Korea has more to offer than just those two cities. Among the many worthy destinations within the country that deserve special mention is Jeju Island. Located about 450km south of Seoul, Jeju has a land area of 1,849km2, which is almost three times larger than Singapore! 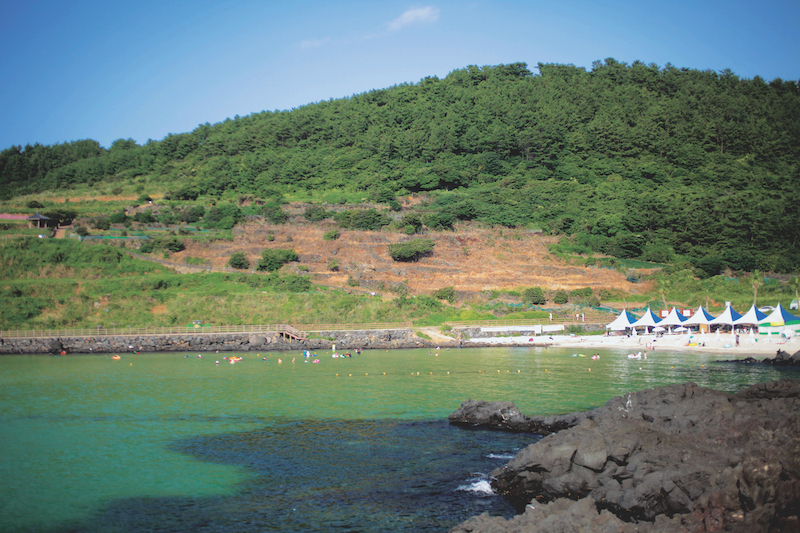 If you want to escape the hustle and bustle of modern city life, Jeju has the right ambience that’s highly appealing. That it has 19 beaches shouldn’t be much of a surprise since it is an island. More interesting is the fact that there are 368 oreum(parasitic) volcanoes! Before you cancel any plan to visit Jeju because of your fear of being trapped by lava flows, we’re glad to report that all the volcanoes are now inactive. The Automobile Association of Singapore regularly organises Fly-Drive trips to Jeju. Here is one of such trips, which took place between 26 Aug and 4 Sep 2017. Participants began their journey with a direct flight from Changi Airport to Seoul’s Incheon Airport. 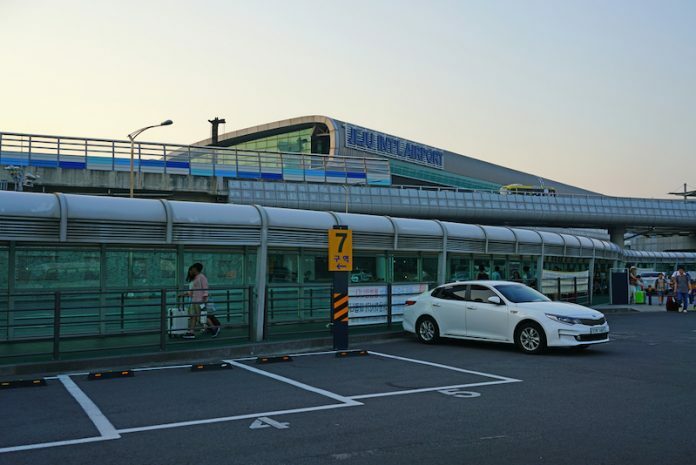 After spending a day in the capital, the group took a 90-minute domestic flight the next morning from Seoul’s Gimpo Airport to Jeju Airport. Upon arrival, the group headed for the car rental counter, where participants were issued the keys to a fleet of electric cars. Before driving off, participants were given a briefing on the car, its basic operational controls and, most importantly, how to charge it. Unlike hybrid cars that run on both gasoline and electricity, the electric car runs solely on battery, meaning it needs to be charged before it can be used — run out of ‘juice’ and you can no longer drive it. With the paperwork sorted, the group drove off to have lunch. Surrounded by water, it isno surprise that seafood is a staple here. Yong-Du-Gol seafood restaurant, located along Yong-Do-Am (translated: ‘Dragon Head Rock’) coastal road, serves a hotpot containing a variety of fresh seafood, including mussels, clams, flower crabs, oysters and even abalone. It is best eaten with rice. Over lunch, our tour guide mentioned one interesting fact about this island: Jeju has more female than male inhabitants because women lose their fishermen husbands to the sea. During the drive, a peculiar — rather phallic, actually — stone statue was a ubiquitous sight. 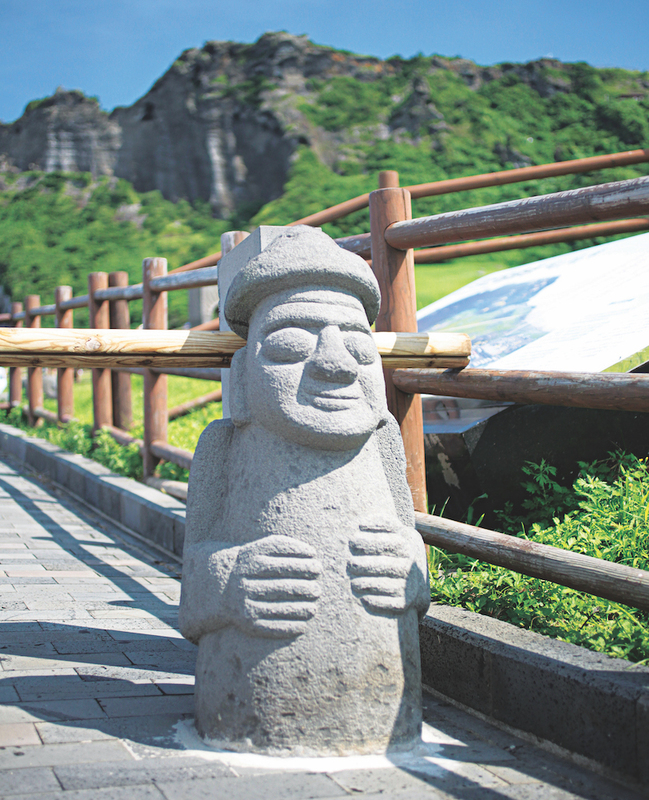 According to local belief, Dol Harubang (translated: ‘Stone Grandfather’), as it is locally known, is the protector of Jeju. Spotting him is easy: if you see a statue of a man with bulging eyes, a large nose, slight smile, and both hands on his tummy, that would likely be Dol Harubang. If you enjoy a unique shopping experience, then Jungang Underground Shopping Centre should not be missed. At 4m below street level, the mall sells clothes, shoes, home accessories and electronics, to name a few categories. To give you a better idea, think of it as our Far East Plaza, but located underground. Expect to find plenty of bargains here. What if you wish to escape the crazy pace and crowds of city life? Well, one recommendation is Hamdeok Beach, known as Jeju’s most beautiful beach. With clean, white sand complemented by clear, blue water, the beach can accommodate watersports as well as just a simple dip. If you are feeling rather adventurous, consider paragliding and treat yourself to a bird’s-eye view of the entire beach. Then there’s Woljeongri Beach. This stretch of sand is strewn with cafés and restaurants. With its proximity to sand and water, these F&B joints are perfect for a date; grab a drink and enjoy a stroll with the wind blowing in your hair. Or you could just laze in the café with a cup of ice-cold coffee and soak in the relaxing atmosphere. Suwolbong Peak is a must-visit. 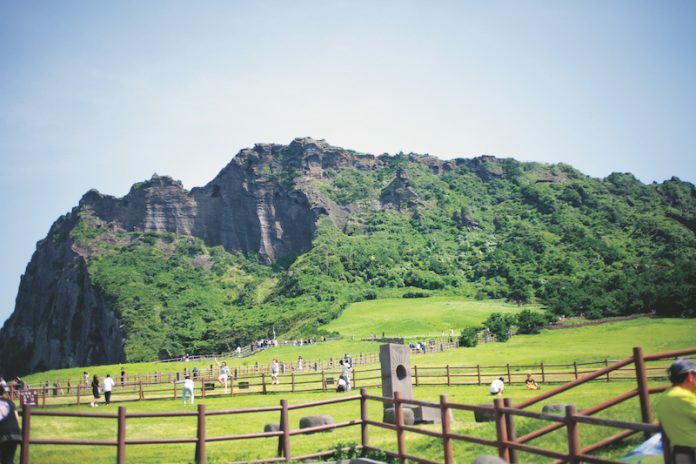 Besides being the westernmost point of Jeju, it offers a stunning view of the clear, blue ocean, and green fields surrounding the vicinity. The strong, cool winds make the trip here unforgettable. A grand pavilion can be found here as well; known as ‘Suwoljeong’, it is surprisingly suitable for a picnic lunch. On a clear day, you can see Mount Halla in the distance. 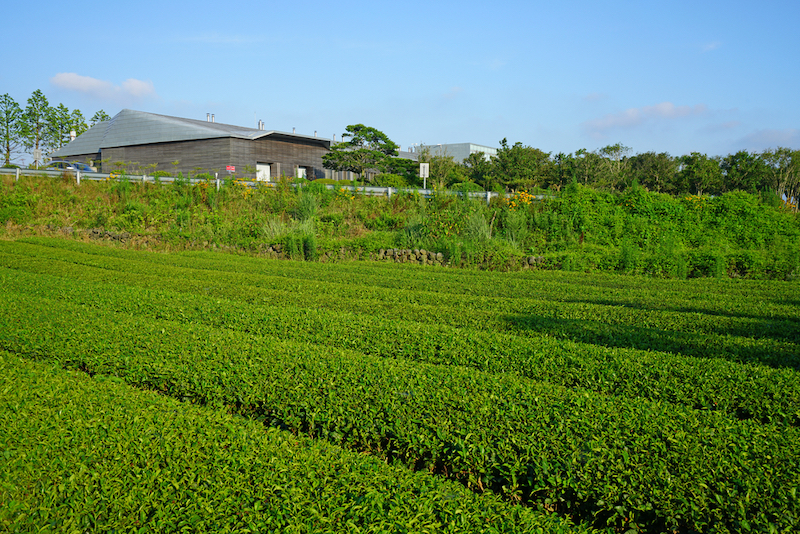 Did you know that Jeju produces some of South Korea’s best-quality green tea? Well, now you do! Which is why you must make a pit stop at the O’Sulloc Tea Museum. Besides enjoying delicious green tea chiffon cake and ice-blended milk green tea, also available here are vitamins and facial products made with green tea — all affordably priced. On top of that — pun fully intended! — there is an observatory on the second floor of the museum overlooking a field of green tea. This is a lovely spot to relax after a day of exploring Jeju. Ample parking spaces are available as well. ‘Lovely’ would be the best word to describe Seongsan Ilchulbong Peak. 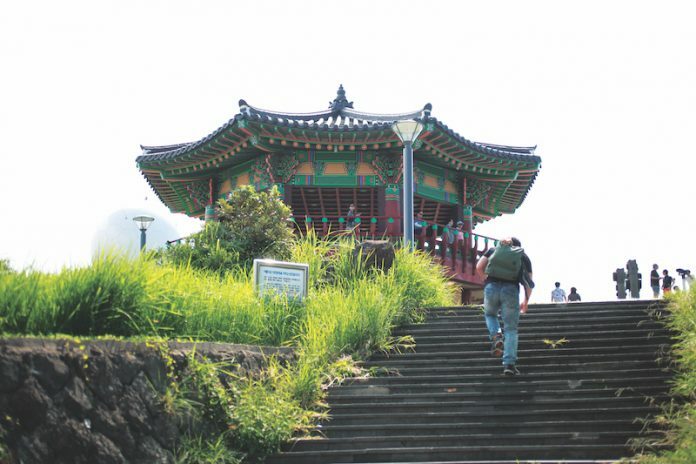 A UNESCO Heritage Site, it is also known as ‘Sunrise Peak’ and is located at the eastern end of Jeju. There are two main things you could do here. Firstly, you can climb to the top of the peak and see a crater 600m in diameter and 90m high. Rest assured that it is an easy climb, while the crater’s natural beauty is mesmerising and worth the effort. Secondly, you can walk towards the beach and visit the House of Women Divers. At specific times, a group of women divers — a majority of them above 60 years old — will perform a symbolic song-and-dance ritual. Their show involves unique nets and tools, with them dressed only in diving suits and goggles. The song they sing is a petition to Mother Nature for protection from harm and blessings for a good catch for the day. Once that is done, they will go into the water and hunt for shellfish. Thereafter, you can even partake of their fresh catch — an assortment of shellfish, abalone and sea slug — as snacks. Tired from all those activities? Fret not as you have a wide selection of cafés available to rest and refresh yourself. Fresh fruits, such as the Jeju tangerine, can be found here; if you’re good at bargaining, the stallholders may be persuaded to throw in something extra! Dokkaebi Road is known in Jeju as the ‘Mysterious Road’. 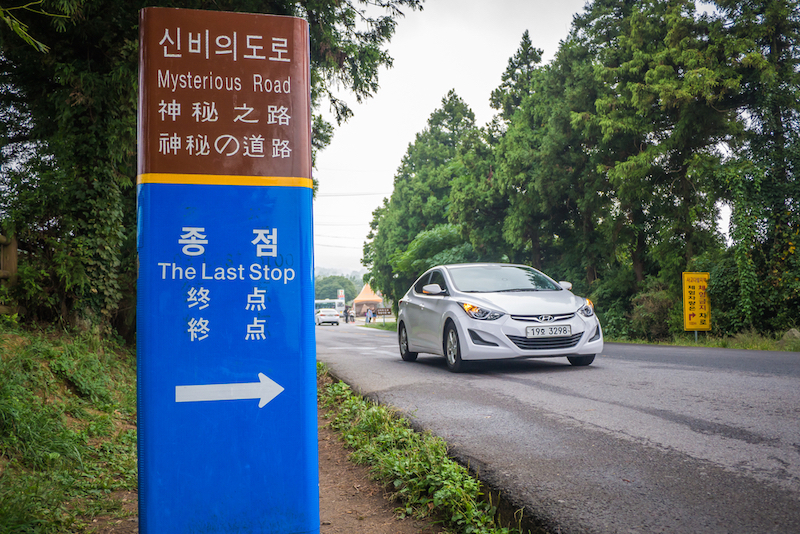 What’s so mysterious about this road, you ask? Interestingly, objects and liquids seem to roll and flow up the hill instead of down, seemingly in defiance of gravity. We had to test the rumour with our car. After leaving the transmission in neutral and without stepping on the brakes — lo and behold! — the car actually rolled upwards on its own. While there are many theories on how this is possible, one thing’s for sure — it is indeed a mystery! With so many attractions, Jeju is certainly a worthy destination for you next vacation. 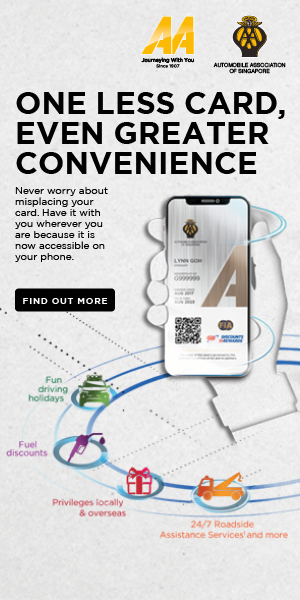 keep a look out on our Autoventure calendar. 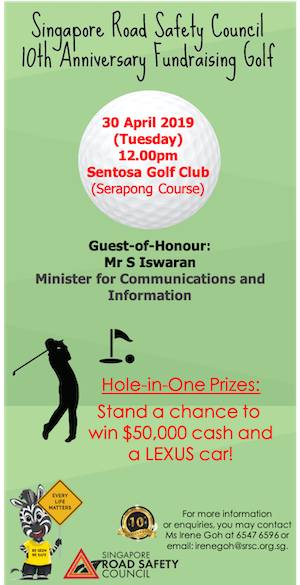 at aa-events@aas.com.sg or call 6333 8811 ext *140. The trip was organised by Automobile Association of Singapore, with the support of Korea Tourism Organization and Jeju Tourism Organization.